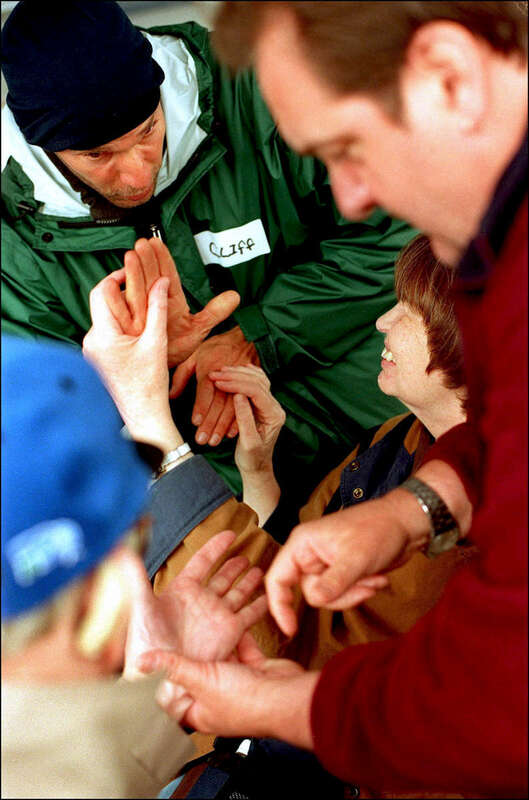 A local volunteer speaks with Polly Mansfield using tactual American Sign Language during a boat trip for deaf-blind people on the Puget Sound. Deaf-blind people around the world speak various sign languages through fingertips into the palms of the receiver’s hands. As a child, Mansfield met Helen Keller, who helped her attend Perkins School for the Blind in Massachusetts, Keller\'s alma mater.